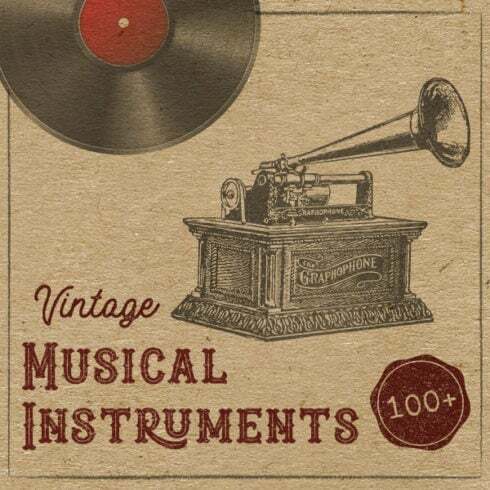 This pack includes 100 vintage music instruments sourced from old books, carefully traced and improved. Each EPS vector file is supplied with a high-resolution transparent PNG image. These illustrations are perfect for branding purposes, scrapbooking and logo design. They can be easily modified in Adobe Illustrator or any other vector editing software. 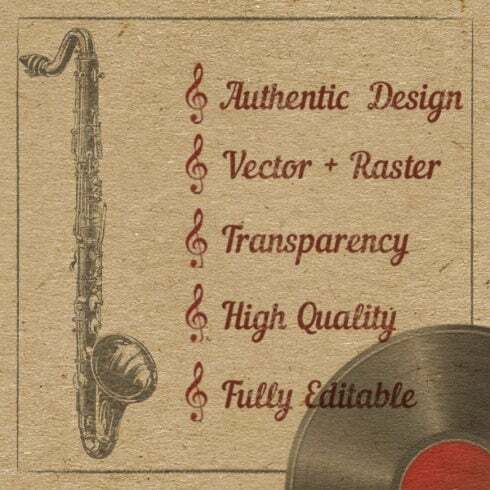 Items included: bagpipe, balalaika, banjo, bell, clarinet, cymbals, drums, flutes, gramophones, guitars, harps, horns, pianos, pipes, violins, xylophones, and more.